Since I did a test to check out my color palette (via color me beautiful), I know I must go for pastels. I was really surprised to see what a difference it made to my face. Pastels just lightened me up, while bright colors made my face look pale. Iek.. So now I'm shopping for pastels. Clothing and furniture. 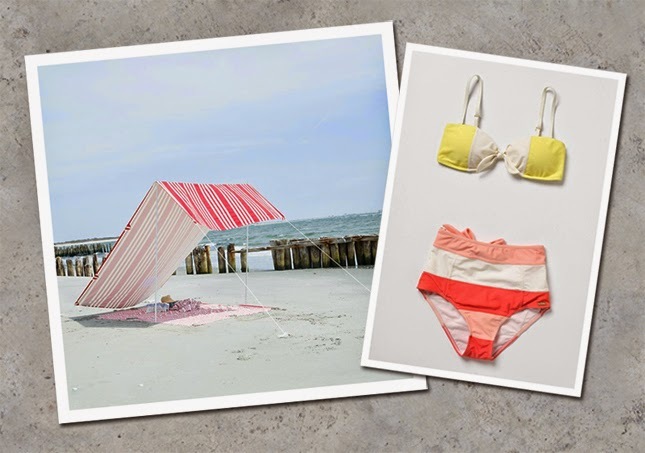 Two summer favorites from this moment: this cotton sun shade from Terrain (what a brilliant shade, much better than al those wind screens we took to the beach in the old days) and this bikini from Anthropologie. Matches my color palette perfectly.